Ginger Vieira has a great entry up today about speaking up for yourself with your health care providers. Yesterday I had the pleasure of highlighting Bob Fenton piece on being prepared for the hospital which was very similar. While Connor was having his appendix pulled out his belly button I wrote along the same lines. I am sure there are a bunch of other closely related comments out there. In fact I read Kerri's whole type 1 pregnancy and resulting happy, extremely cute (I have seen the kid and that may be an understatement) baby series and a first hand account of working with your doctors while not blindly following them. That there is a really good point. Be your primary care giver. Couldn't agree more! 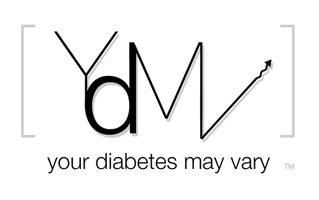 Your diabetes may vary (I wish I'd thought of that blog title!) and you're going to know it better than any doctor.